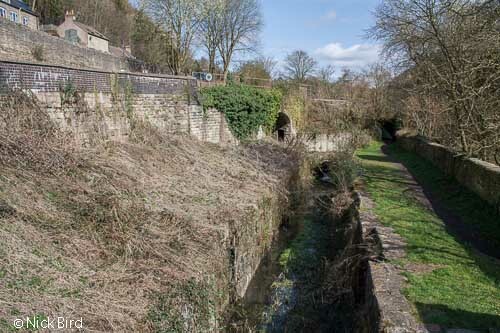 This is 100m or so from Ile's Bridge towards Brimscombe Port, and is in the grounds of a private garden. 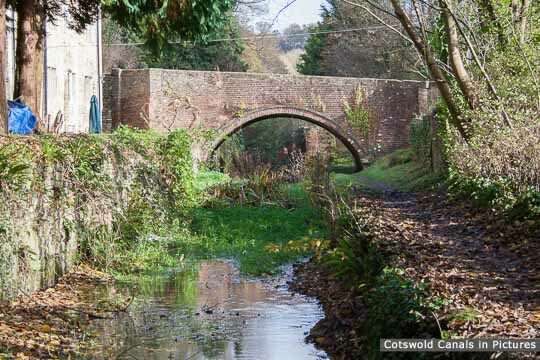 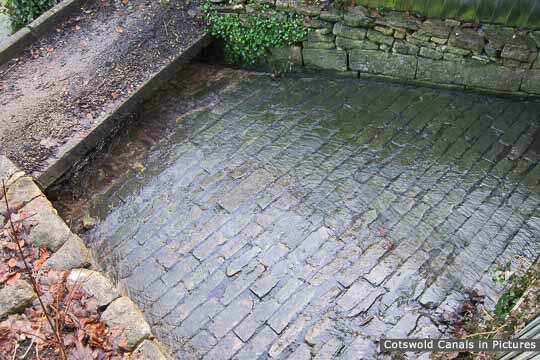 The top photo was taken from the canal towpath, looking towards a swollen River Frome. 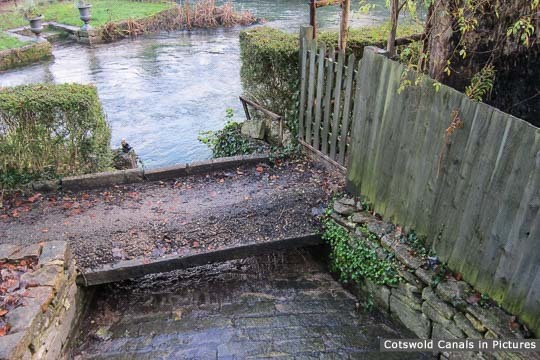 Access: Can be viewed from the towpath, although the weir is on private property.